They say ‘you are what you eat‘. Now Australians have the opportunity to work out exactly how ‘Fair Dinkum Dinki Di‘ they are when it comes to their food purchases. New GREEN-AND-GOLD kangaroo labels will show consumers as well as those in the food service sector how much of their food contains local ingredients and whether it was made in Australia. Alsco, the premier rental company, too has lots to offer companies in the food service sector, making lives, simpler, easier, hassle-free for business owners, allowing them to focus on doing what they do best, running their businesses! From crisp white (or coloured!) serviettes, freshly laundered table linen, to clean soft wipes for the kitchen, Alsco has been proudly servicing thousands of businesses in the food service sector with their incredible linens. Come partner along with Alsco. Let us help you create that perfect food and dining ambience! The new labelling system will cost a whopping $37 MILLION dollars to introduce. This cost will be borne by the manufacturers and the Australian food buying public (which is all of us). This new initiative has arisen from an incident earlier in the year where 28 people were infected with Hepatitis A after eating imported Chinese frozen berries. This resulted in the infected products being recalled by the manufacturer. The outbreak was believed to have been caused by unhygienic conditions (potentially contaminated water supplies and poor hygiene amongst the Chinese workers) in the production of the berries. A four-month senate inquiry into the country of origin food labelling laws was called and the new system is the result. The new labels are interesting in that they contain a gold bar that shows what portion of the ingredients were grown in Australia. Although there has been criticism from some quarters as the new labels do not require the origin of non-local ingredients to be stated. It has also been noted in some quarters that the new labels do not cover fresh food. Still a lot of time, money and thought has gone into the system as it has been discussed at various levels of government for many years and replaces the old ‘Made in Australia’ Green and Gold Kangaroo label. The new system will distinguish between products using overseas ingredients and packed in Australia. Minister for Agriculture Barnaby Joyce said companies will be encouraged to provide additional information on their labels such as naming the origin of a number of key ingredients. 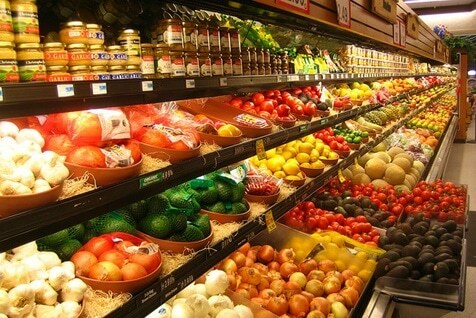 The initial rollout of the scheme will be voluntary, so there could be changes on supermarket shelves later this year. The new country of origin labels will be mandatory from next year after the states and territories reach agreement on them. However, the Commonwealth will need the agreement of the states and territories to go ahead with the mandatory new rules in 2016. It will be interesting to see if the new labelling system gets the green light from the various state premiers as in the past getting every state in Australia to agree on policy has not always been easy. Is this money well spent? Does it go far enough? Or is it another example of government waste from a government who have prided themselves on doing the opposite? Alsco would like to thank Brendan Bolton of Train To Gain for this article. Train to Gain is a Nationally Accredited Registered Training Organisation. For enquiries, visit www.foodsafetyeducation.com.au. Do you need linens for your restaurant and bars? Why buy when you can rent? Fully-managed food and beverage linen rental services from Alsco help you maintain a clean and hygienic workplace. Contact Alsco now for a FREE QUOTE, call 1300 659 892.